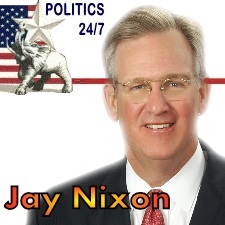 Politics 24/7 considers this race to be close and even though incumbent Democrat Jay Nixon is largely expected to win reelection, Politics 24/7 is designating this race as a very possible pick for the G.O.P. This conclusion is reached after giving a great deal of weight to the other races taking place in the state. Specifically the presidential and U.S. senate races. Romney should do well at the top of the ticket in Missouri. This means many Republican and anti-Democrat voters will be coming out to vote and boosting the numbers that show up and vote further down the Republican ticket. That means the Republican candidate for U.S. Senate and for Governor, will have an advantage. 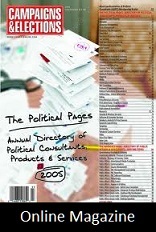 The question is whether or not Politics 24/7 considers that advantage to be greater than it actually will be? 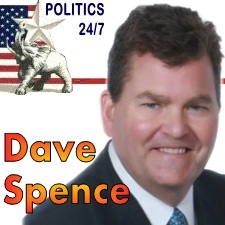 I believe that advantage is at least good enough to make both the expected U.S. Senate candidate Sarah Steelman and the anticipated candidate for Governor, Dave Spence more competitive than if they were running in a non-presidential election year. The larger than normal turnout that comes with a presidential election will certainly help Steelman and Spence. However, Spence is so far polling as much as ten percent behind Nixon. That may naturally begin to change signficantly after the primaries in early august when Spence is officially declared the G.O.P. candidate. Other considerations here are Jay Nixon himself. Inititally, on the down side for Republican hopes of defeating Nixon, a Public Policy Polling survey found almost as many Republicans approving of Nixon’s job performance as there were who were unhappy with it. Similar results were found regarding Nixon’s job approval among the members of his own Party. PPP concluded that it is PPP concluded that it is rare to see any politician come that close to breaking even across party lines. But what was not observed by PPP, a Democrat polling outfit, was that in their May 27th poll of the Governor’s race, Nixon polled 45% to Spence’s 38%. While that gave Nixon a significant lead, it should be noted that at this point in time, any incumbent office holder who polls at less than 50% in the polls is in trouble, or at the very least, in a competetive race. So I’m going out on a limb here and projecting Missouri as a weak Republican gubernatorial gain. Once Spence starts campaigning for Governor and not just the nomination, we’ll take another look at our early assessment.